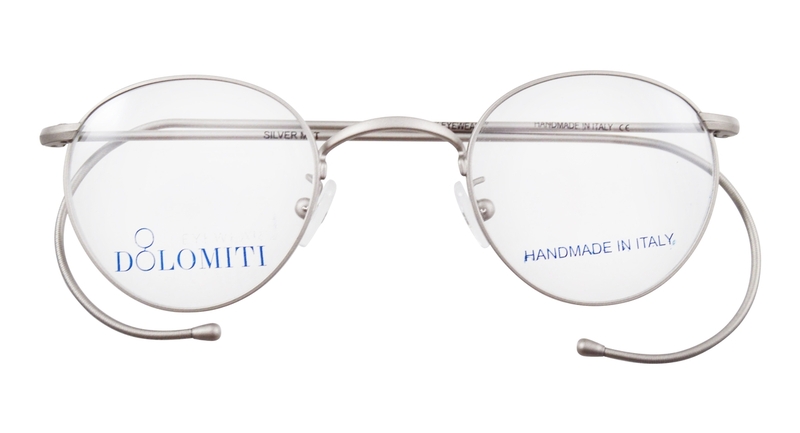 The Dolomiti Eyewear DM8 Cable glasses model uses a classic round-ish design that is one of the most popular almost round frame shapes of all time. Almost identical to the Shuron Ronstrong frame which is one of the best-selling frames of all time, the DM8 Cable glasses are made in Italy to a much higher quality standard than the Ronstrong. This model has cable temples, but the same frame is also available in the DM8 Skull Temples, and the DM8 Polo temples. 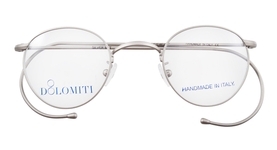 The overall frame width is 111mm for the size 40 frame, and 115mm for the size 42 frame, and 122mm for the size 44 frame.